What is Ejuice? An ejuice, also termed as eliquid or vape-juice is a flavoured and aromatic liquid that is used in the sub-ohm tank of an e-cigarette to create vapour. Ejuice may or may not contain nicotine, vegetable glycerine, propylene glycol and artificial flavours. The most favoured and liked ratio for ejuice is 80% VG and 20% PG. Origin: E-cigarettes were first invented and marketed by the Chinese companies in the year 2003 and became immensely popular. Since then, many countries all over the world have adopted the technology involved with making e-cigarettes. Types: Primarily there are two types of Ejuice. With or without nicotine. The nicotine free ejuice is absolutely safe for health and is used extensively as a substitute for tobacco cigarettes to get rid of the hazardous habit of cigarette smoking. 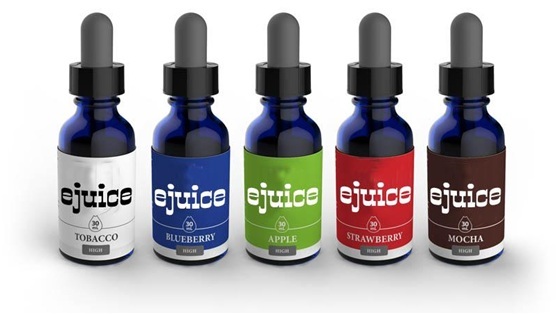 The ejuice also comes in different VG/PG ratio, nicotine content and flavours. The flavours range from fruits to desserts to candies and menthol and the buyers can select any of the flavours as per their preference. Myths: There is so less knowledge among people about ejuice and e-cigarettes that leads to several myths associated with vaping. One of the common myths are that vaping is a cigarette cessation product. Although manufacturers and sellers of vape juice and e-cigarettes are made to put a warning on their websites nad products declaring the same. But, the fact is that vaping actually helps regular smokers to abstain from smoking. Another myth involved with vaping is the health hazard caused by vaping. The truth is, apart from the 4 ingredients present in an ejuice, there is no other chemical into it. None of the ingredients, with the amount of their presence in ejuice, has any serious ill-effects on the human body. Whereas, cigarettes contain hundreds of unknown chemicals and by-products that cause hundred times more harm to a human body. Some people also say that vaping lets non-smokers and teens into the habit of smoking. Although there is no solid proof for this claim. Studies have shown that it is unlikely that non-smokers or teens trying out vaping might take up smoking in future. The last but not the least, many people claim that vaping is more addictive than smoking. Well, the addiction comes from nicotine. Ejuice, if they contain nicotine, the amount is negligible than a regular cigarette. Also, the vaping process does not allow the nicotine to be delivered completely. The only addiction that can possibly be associated with vaping is the various flavours that it comes with and the variety of mods and tanks and other accessories that makes it a more stylish and interesting activity than regular smoking. Precautions: Although there is no proven health risks associated with vaping, it is advisable to avoid e-cigarettes if you are facing any serious health conditions. Also, before trying out vaping, you should consult a physician to know if you are allergic to any of the components present in vape- juice in order to stay safe and sure.